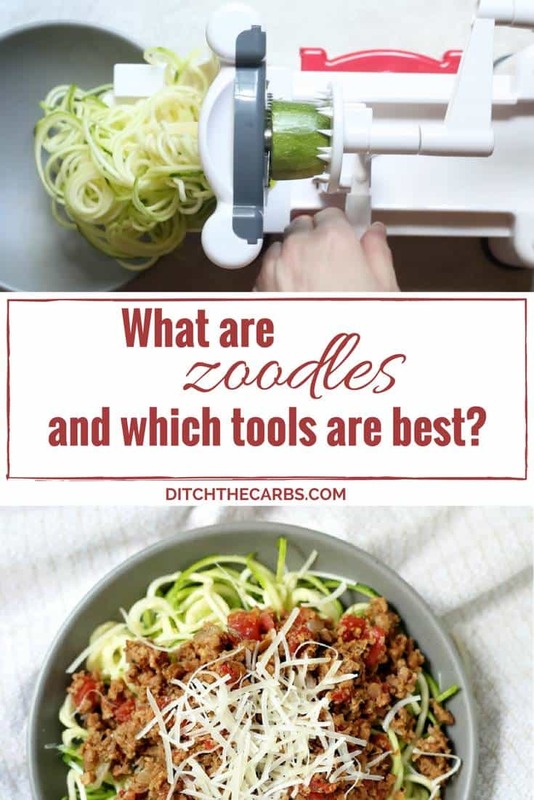 What are zoodles - which are the best tools & veggies to use? So many readers ask me “What are zoodles?” How do you prepare zoodles? 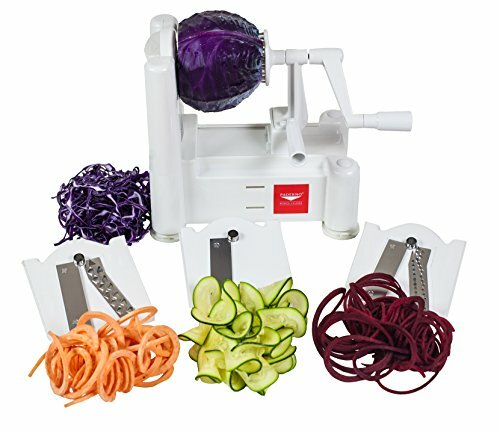 Which is the best tool to make zoodles? How do you cook zoodles? If you have ever wondered what are zoodles, and why zoodles are so incredibly healthy – read on. Watch the quick cooking video how to make the perfect, healthy, quick, family meal. Low-carb spaghetti Bolognese is magic because it turns a 56g carb meal into a 13g one packed with nutrition and vegetables. Which vegetables are great for zoodles? Zoodles are an incredibly fresh and healthy alternative to pasta. Zoodles are a fun way to increase the number of vegetables we eat, especially children. Children just love the spiral shapes (and they love using the spiraliser). 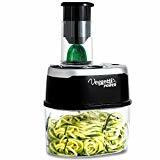 Zoodles are incredibly nutritious and a healthy alternative to highly processed wheat pasta or gluten free pasta, the only processing is when you crank the handle. Zucchini 1 cup = 25 calories – 4.6g carbs and additional vitamins, nutrients, and antioxidants not found in processed pasta. There are generally two ways to make zoodles. 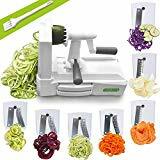 Using a spiraliser machine with a handle that you turn to create the ribbons of zoodles. It has suction cups that allow it to stick to the kitchen bench top. Most spiralisers come with various blades so you can make thin ribbons or larger zoodle ‘pasta’. Alternatively, there is a smaller and cheaper alternative – a handheld spiraliser(a julienne cutter). This is the one I take away on vacation with us. I don’t allow my children to use this one as the blades are incredibly sharp and I wouldn’t want their fingers to get shredded in the process. I hold the zucchini/courgette with a fork at one end, then run the julienne cutter down the length of the zucchini/courgette. To make zoodles, just wash and trim the ends of your zucchini. Place the zucchini between the spiked handle end and the blade, then turn the handle and wonderful ribbons of zoodles will appear. You can change the size of the zoodles with the 4 blade attachments. Zoodles can be eaten raw, or lightly steamed. They can be used as a replacement for pasta or in salads. I love anything that makes vegetables more fun for children to eat. Watch this video to see how easy it is to use the spiraliser. 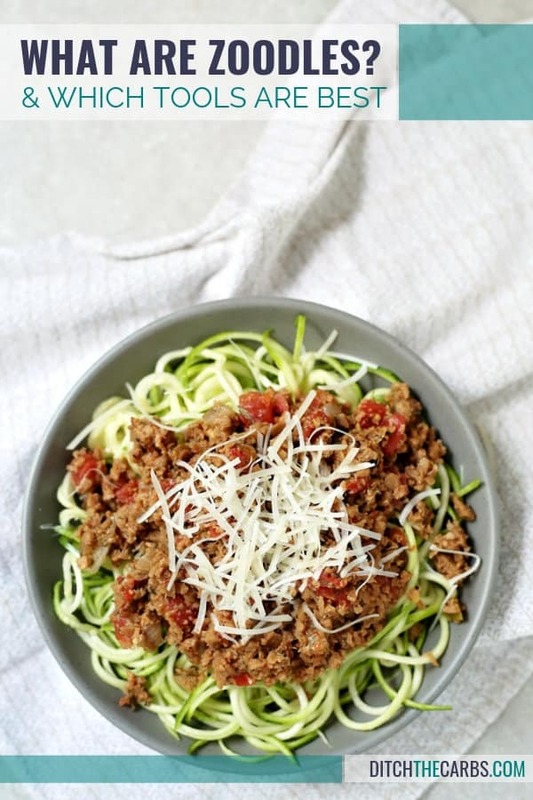 My favourite meal by far to use zoodles is low-carb spaghetti Bolognese with zoodles, watch the quick cooking video above to learn how to make the perfect healthy quick family meal. Low-carb spaghetti Bolognese is magic because it turns a 56g carb meal into a 13g one packed with nutrition and vegetables. Cool low-carb magic trick huh? Another healthy family dinner my children enjoy is Tuscan meatballs with carrot pasta. It is one of the earliest recipes I added to the website because once I discovered vegetable pasta, it soon became our new go-to meal for the entire family. Quick and easy to make, ready in under half an hour. Which vegetable you use, will depend on how strictly you need to monitor your carb intake. I generally make the zoodles with zucchini, and my kids love to use carrots, depending which is in season. If you need to be stricter with your carb intake, use zucchini and avoid carrots which are a sweeter root vegetable. The following are just a few ideas for vegetables that may be used to make zoodles, and how to serve them. Some can be eaten raw in salads or cooked/steamed for a warm meal. If you want a smaller device, but slightly trickier to use, go for these options. One last alternative you may wish to try is spaghetti squash. Watch the video in this post. I show you all the other methods such as cooking spaghetti squash in the slow cooker or the microwave. 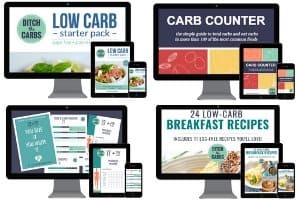 « Portion Control – What Does 30g Carbs Look Like? Buyer beware! Most of these spiralizers are cheaply made and break shortly after purchase. It’s the handle. A piece of plastic simply not meant to last. A spiralizer is a great addition to your kitchen but spend the money and get a good one. Also, these are not terribly effective for thin, narrow veggies like carrots. 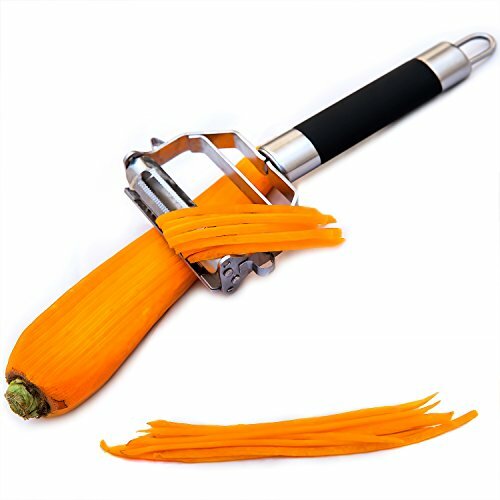 As mentioned in the article above, buy a julienne peeler. These are fairly cheep, around ten bucks or so. They won’t do spirals but you’ll get your zoodles. That may be so but better than using outright pasta. This is a carb reduction meansure not an elimination measure. If you’re on Dr.Simein’s HCG Protocol and are on P3, the Squash won’t be allowed but the zucchini would be. Two questions, first, can you use yellow summer squash in place of zucchini for this? Next can you pre zoodle? and freeze? I just bought a basket of both zucchini and yellow squash from an Amish stand and can’t use it up fast enough. Yes you can zoodle pretty much anything. Pumpkin, beetroot, carrots, zucchini – as long as they fit within your carb allowance. Good question about the freezing, I’ve never tried it. I wonder if anyone else here can comment if they have tried?? If zucchini noodles are called zoodles, would carrot noodles be coodles? Then maybe potato noodles would be poodles. All seriousness aside, why not just use spaghetti squash? It has better texture than zucchini noodles and no special tool is needed to make it. Love the names!!! Yes I also use spaghetti squash, see here for my video, but I also like to use zucchini or carrots when in season and vary which vegetables I use according to price (which can vary enormously). I’ve been having a bit of trouble with my zoodles, they always seem to go too soggy and I end up with a pool of water at the bottom of my bowl. I was cooking them slightly so I tried to just use them raw instead but even adding a hot sauce seems to be enough temperature to cook them and cause a lot of water to come out in the bowl. Any tips for this? I tend to use just a splash of water, and once cooked, drain as much of the water as possible, then leave the lid off to allow all the steam to escape. Before I topped my zoodles with sauce I microwaved them for a minute, then drained off the liquid. It help. My sauce did not get watery. Brilliant tip, thank you. No one likes soggy zoodles, or soggy sauce. You can squeeze out extra moisture in a clean white cloth or cheesecloth, You can also lay them out on paper towels or a baking rack, sprinkle with salt and bake at 200f for 30 to 40 minutes and then squeeze or at a higher temperature with the oven door slightly ajar. I’m still experimenting with other ways to dry them out. I have success by making my zoodles well in advance of when I will use them. I can use them after a day or two up to as much as 10 days (so far) kept refrigerated in a plastic bag. When prepared in this manner they will not be soggy. Previously I had multiple instances of wet or soggy zoodles when using them immediately no matter how much I squeezed them. This is a very easy fix that yields zoodles much like fresh pasta. After I have noodled, I leave them in a sieve over a bowl and sprinkle a little salt over them. After 20 minutes you will be surprised how much extra liquid has escaped into the bowl through the sieve. Then they will cook in a little butter and not come out soggy. Hope my tip helps. Looks Awesome, well worth a try!! Thanks for the fantastic ideas. I will also be trying zuccini parmesan dish that I found on the internet. So many great things can be done with healthy vegetable alternatives! I just LOVE, LOVE, LOVE your website. You have made banting so much easier for me and my husband, and as a result, we both are feeling the incredible benefits of eating this way. Why do you asssume I wouldn’t want my childrens’ fingers to get shredded in the process? What can you use if you don’t have the fancy tools? I was surprised and happy to find that my kids were impressed with zoodles! Yes children seem to love them. I think it’s because they’re fun shapes and cranking the handle turing a boring vegetable into the longest spiral they can (everything is a competition in our house).